Do you have a sweet tooth craving for the finest chocolates? Do you need to restock your emergency chocolate supplies? 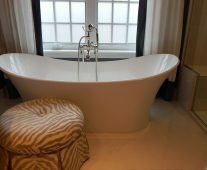 Belgium is famous for their luxury chocolates and on even footing with Swiss chocolates. Here are the best Belgian chocolate brands you can buy online and have delivered right to your doorsteps. Known for their production of Belgian chocolate, ice cream, and cookies, Neuhaus was founded in 1857. The grandson of Neuhaus’ founder is actually recognized as the “inventor” of the praline or bonbon. 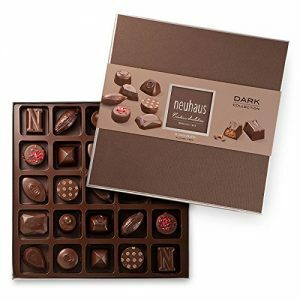 The Neuhaus dark chocolate collection features an assortment of twenty-five dark chocolate pieces of succulent Belgian dark chocolate. A smooth chocolate selection with no alcohol content, this hard to find Neuhaus dark chocolate selection is a must have for any dark chocolate lover! If you prefer Belgian milk chocolate over dark, then the Neuhaus milk chocolate collection is just what you’re looking for! A twenty-five-piece selection box, this Neuhaus Belgian chocolate is perfect for the chocolate connoisseur in your life. If Belgian liqueur chocolates are your preference, don’t panic, because Neuhaus has something for you too. This Neuhaus liqueur chocolate box contains twenty liqueur pralines, all of which are intricately wrapped and set inside a leather covered box! With Cointreau, Glenfiddich, Havana Club, Absolut Vodka, and Remy Martin, this is one chocolate gift that won’t disappoint. 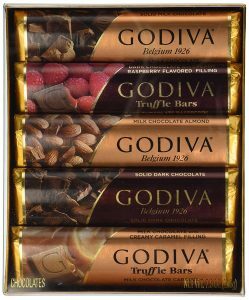 Founded in Belgium in 1926, Godiva is perhaps one of the most recognizable names in Belgian chocolate. Unlike many Belgian chocolate producers, Godiva not only focuses on chocolate confections, but they also produce coffee, ice cream, hot cocoa, liqueur, and cheesecake! When it comes to Godiva, any Godiva snob will tell you that it doesn’t get much better than the Godiva classic gold ballotin! This beautiful gold box comes neatly packed with nineteen perfectly shaped chocolates with milk, dark, and white chocolate selections. If you’re looking to introduce someone to Godiva Belgian chocolate, then this Godiva ballotin is the best way to do it. 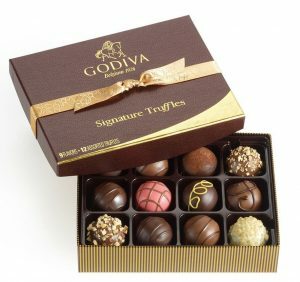 Belgian truffles are certainly something special, especially when they come from Godiva! 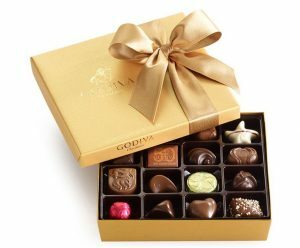 This twelve-piece Godiva Belgian chocolate truffles box comes with twelve signature Godiva truffles. With flavors like salted almond, Aztec spice, and crème brûlée, this box of truffles makes a great gift for the more adventurous chocolate lover in your life. Even Belgian chocolate lovers have to watch their waistline now and again and the Godiva classic chocolate bar gift set is a great way to indulge without overindulging! Rather than open a full box of Belgian chocolates, this Belgian chocolate bar set comes in five assorted flavors including milk chocolate, dark chocolate, milk chocolate and caramel, dark chocolate filled with raspberry and milk chocolate with almonds! Started in 1913, Leonidas prides themselves on producing delicious Belgian chocolate that is within a more affordable price range. With some 1,250 chocolate stores around the world, Leonidas is one of the most widespread and top producing chocolate manufacturers in the world! This Leonidas Belgian chocolate box is a 1lb introduction to one of the best names there is in Belgian chocolate! Inside the recognizable gold papered box await twenty-eight pieces of dark, milk, and white chocolate. 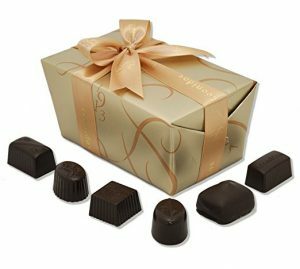 With fresh butter cream chocolates, sweet pralines, and even a few decadent truffles, this Leonidas box has everything to offer. 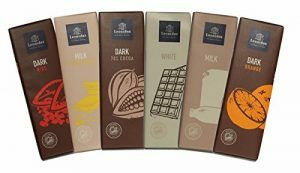 Godiva isn’t the only Belgian chocolate company that offers a chocolate bar selection, Leonidas has their own offering too! This variety pack of assorted Belgian chocolate bars includes one dozen bars in six different flavor combinations. Included in this selection are dark chocolate, milk chocolate, white chocolate, dark chocolate with orange, dark chocolate with nibs, and Feuillentine! Dark Belgian chocolate isn’t always easy to find, but this Leonidas Belgian dark chocolate assortment is just perfect! Twenty-eight pieces of dark chocolate hide mouthwatering centers like praline, buttercream, and truffle. If you know someone who just can’t get enough dark chocolate, this gift box makes a great anytime gift. Founded in 1958, Guylian is a Belgian chocolate company recognized worldwide for their delicious praline. Both seashells and sea horses are common motifs in Guylian chocolate products, although they also produce less artistic products as well. 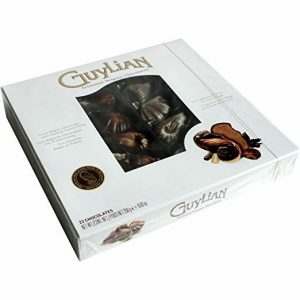 Guylian is a Belgian chocolate company best known for this very product – their milk chocolate sea shells! These nautical shaped milk chocolates are marbled with white, milk and dark chocolate and each is filled with hazelnut praline. Not only is this Belgian chocolate assortment simply indulgent, but it’s also a work of art! 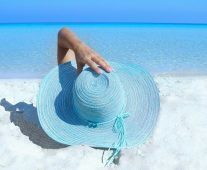 Not all chocolate lovers can indulge in their favorite sugary sweet treat without worrying about blood sugar levels. Guylian has the answer to that dilemma, however, with their no sugar added Belgian chocolate bar! A big favorite among those with limited sugar intake, this pack of six milk chocolate bars features smooth milk chocolate with the traditional Guylian hazelnut praline filling. 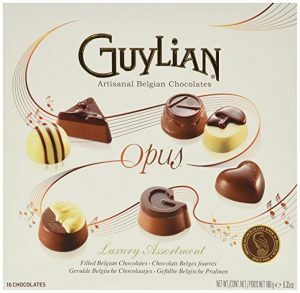 Guylian Belgian chocolate is best known for their artistic pieces and their sixteen-piece Opus selection is no exception! Unique artist-designed chocolate pieces that are each signed by their artist, the Opus collection screams class. Mango pear ganache, cappuccino cream, caramel, and truffle are just a few of the sweet smooth Guylian Opus fillings in this box! A popular favorite chocolate among native Belgians (they consume some 600 million a year! ), Cote d’Or was founded in 1883. The main source of cocoa beans used by Cote d’Or is sourced from Ghana (formerly the Gold Coast). Concerned with both human and wildlife welfare, this Belgian chocolate company is dedicated to eliminating child labor and producing Rainforest Alliance certified products. Cote d’Or is another of the most desired brands of Belgian chocolate brands and this basic milk chocolate bar is all you need! A sweet and smooth milk chocolate, Cote d’Or can be hard to track down, but it truly is the ultimate indulgence for any sweet chocolate lover. Although some might complain that $9.45 is a little pricey for a single chocolate bar, the complaining will stop as soon as they get their first taste of Cote d’Or Belgian chocolate! Cote d’Or isn’t only recognized for their Belgian milk chocolate, they are also well loved for their dark chocolate bar with almonds. A smoother and less bitter chocolate than the traditional confectionary brands, this dark chocolate has all of the bite but none of that astringent aftertaste! Few things scream quality Belgian chocolate like Cote d’Or mignonette noir de noir! These dark chocolate squares of extra dark premium Belgian chocolate are the perfect end to any dinner party or a great sneaky treat during the day! Amazing when paired with a hot cup of coffee or when eaten alone, any dark chocolate lover will relish this classic dark Belgian chocolate. Dolfin has been producing quality Belgian chocolate for decades. Their production depends on high quality, natural ingredients and their flavor profiles are unique and sophisticated. Dolfin chocolate selections include herbs, spices, flowers, and fruits. 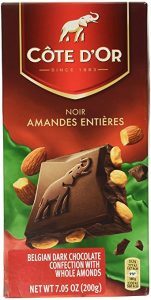 If you are looking for something interesting for the Belgian chocolate lover in your life, this Dolfin Belgian chocolate spice assortment is everything you could hope for. Unique flavors like cardamom, pear, ginger, masala, and earl gray add an interesting twist to these mouthwatering mini chocolate squares! Dolfin doesn’t only specialize in mini chocolate squares, however, their Belgian milk chocolate bar with cinnamon is a well-known favorite among chocolate connoisseurs. Made from all natural ingredients, this milk chocolate bar has a kick to it but the unique flavor keeps you coming back for more! Just one of the rich Belgian chocolate flavors that Dolfin has to offer, milk chocolate and cinnamon has proven to be a fan favorite. 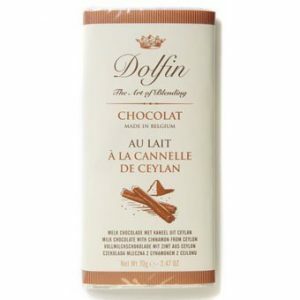 Dolfin Belgian chocolate doesn’t only come in milk chocolate, dark chocolate lovers should take note! 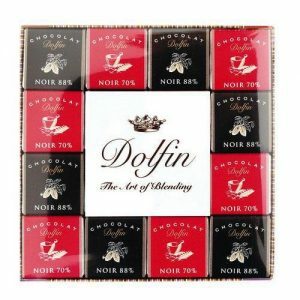 Dolfin dark Belgian chocolate is smooth, just sweet enough, and a great dessert option for an overindulgent dinner party guest. This small box of forty-eight pieces features a chess board of 70% cocoa and 88% cocoa dark chocolate squares and will keep the dark Belgian chocolate lover in your life busy for a while! 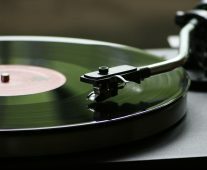 The top favorite Belgian chocolate brands noted above are, of course, not the only Belgian chocolate brands worth trying if you are a true chocolate connoisseur! 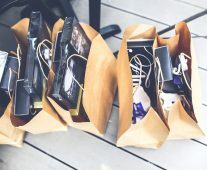 Other Belgian chocolate brands that are certainly worth taste testing include Bruyerre, Belvas, Corné Port Royal, Starbrook Airlines, Daskalidès, Galler, Mary Chocolaterie, Zaabär and Planète Chocolat. Fortunately, the technology of today allows us all to taste these delicious Belgian chocolates without traveling to Belgium ourselves…although most chocolate lovers would agree a trip to Belgium would still be preferred!